Drummer Pat hasn’t gigged for ten years because he suffers with severe arthritis. Can his son Liam pull off a surprise ‘One Last Gig’ for his dad? A new documentary series which showcases short films made by talented new film-makers as part of It's My Shout training scheme. 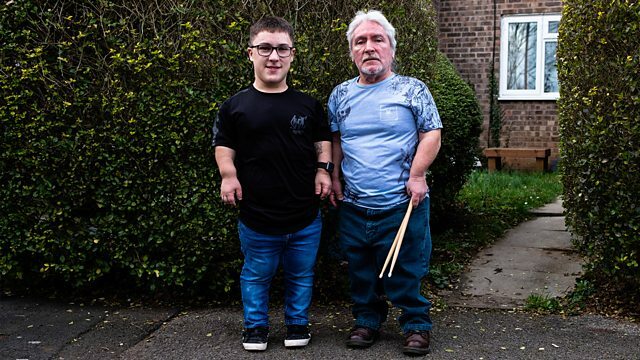 Nineteen-year-old Liam Roche has dwarfism, so does his dad Patrick. When Patrick was Liam’s age, he was an up-and-coming drummer who went on to tour the world. Now in his late fifties and suffering with severe arthritis, Pat hasn’t drummed for ten years. Can Liam surprise his dad by getting his old band together without him knowing and give Pat ‘One Last Gig’?